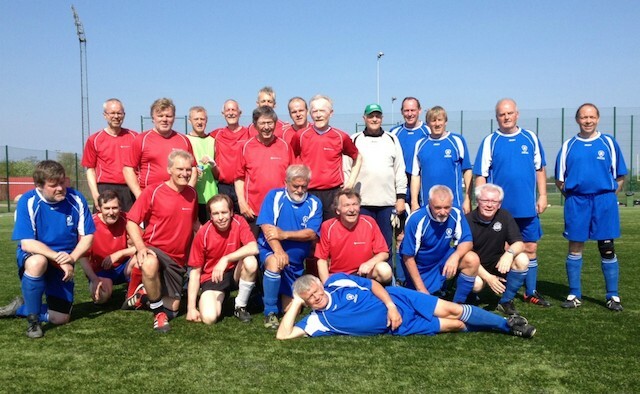 The annual seven-a-side football tournament for people with Parkinson’s takes place in Copenhagen, Denmark. There will be a special dinner in the evening for players to enjoy. Get your pillows ready and battle your family, friends and colleagues! All proceeds will go to the National Centre of Excellence in Research on Parkinson’s Disease, Luxembourg. Renowned speakers, symposiums and medical workshops are on offer at this event dedicated to improving care for those living with Parkinson’s. Parkinson’s UK is inviting fundraisers to push themselves, riding the 5,000m ascent up the stunning mountains of Stelvio, Gavia and Mortirolo. Fundraisers will tackle 10-12 mile obstacle courses to raise money for Parkinson’s UK. Charity registration costs £10, using the discount code ONLY10. Photographer Diana Levine, who has worked with the likes of Kim Kardashian, Barack Obama and Usher, is hosting a photography-inspired cocktail party to fundraise for the Michael J Fox Foundation. Parkinson’s UK is encouraging campaigners to take on the charity run. A mini 5k route is also available for juniors, so the whole family can join in. Learn about how Parkinson’s has affected the contemporary artist John McLean. Directed by Michael Proudfoot. Running time: 78 minutes. Join the Parkinson Voice Project for its annual SING OUT! recital. All 100 performers have Parkinson’s, or a related neurological condition. This event is free of charge. Lyndsey Isaacs and everyone at The Cure Parkinson’s Trust invite friends and supporters to remember and celebrate the life of Tom Isaacs. The evening will begin at 6pm with drinks and canapes, followed by entertainment and speeches from 7pm highlighting their on-going vision to find a cure. This free conference discusses the practical approaches to managing Parkinson’s disease, featuring expert speakers from the Parkinson’s community. A full day workshop hosted by the Parkinson Society British Columbia. The event costs $50 for non-PSBC members. Registration is required at least seven days before. The Medway Neurological Network have teamed with the Canterbury Canta Trust, Canterbury Christchurch University and The University of Kent to bring a fun, singing and rhythmic movement group to people with neurological conditions.